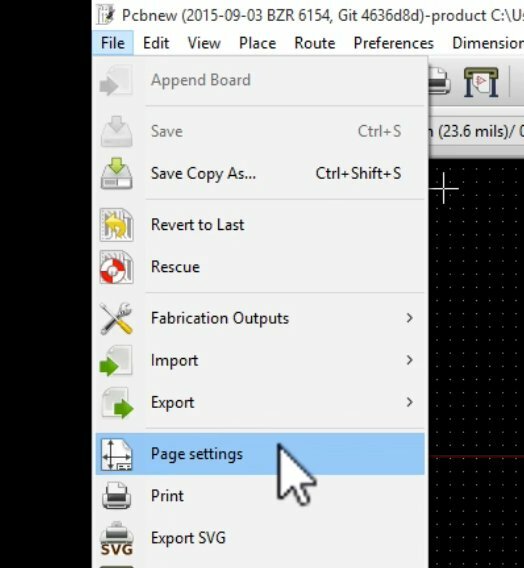 Bring up the Page Setting window. The page and project information, entered. Now, let’s go ahead to read the netlist file. 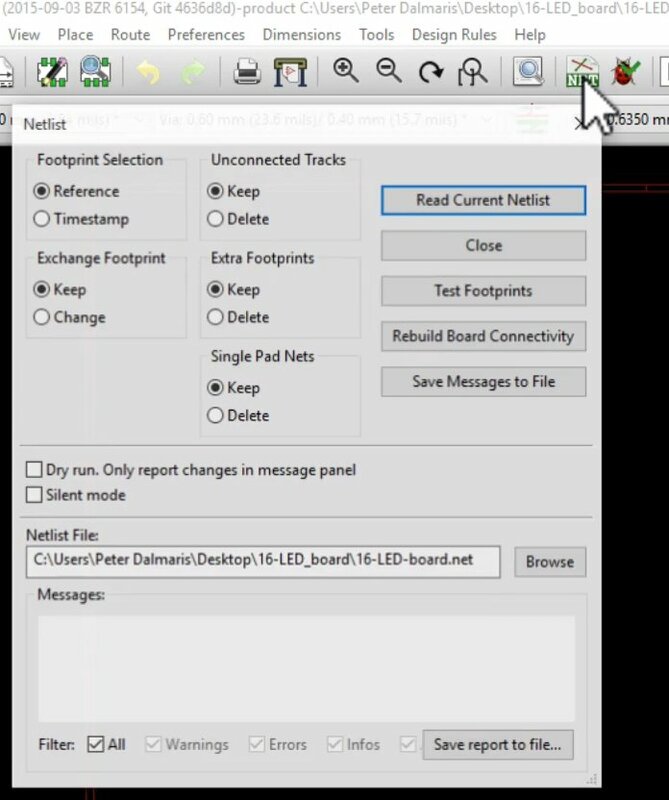 Read the netlist file. The path to the file should be correct by default. The default path should be correct if you saved the netlist file in the project directory. Click on the Read Current Setlist file to read it, and then close the window (click on the Close button). The footprints will be bundles together on the canvas. You will need to zoom in and pan to be able to distinguish the individual components in the bundle. The footprints are placed in the canvas, in a bundle. 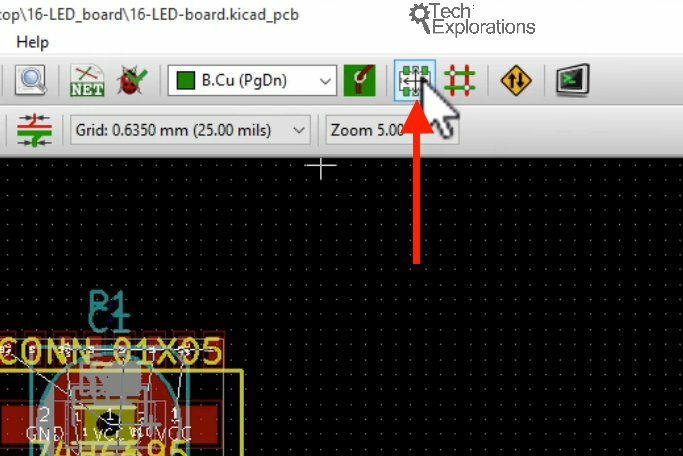 Picking and moving individual footprints is too much trouble, so let’s get Kicad to help us out here. Click on the Mode Footprint button to enable automatic mode. Then click anywhere on the canvas and select Spread out All Footprints, to do what this items says it will do! Select Spread out All Footprints. 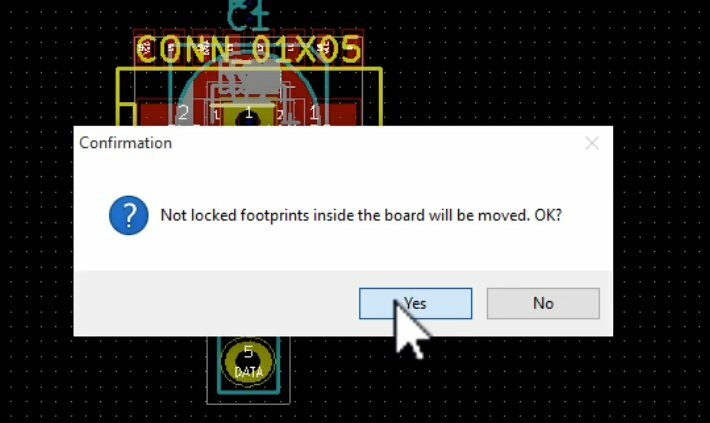 You will get a warning informing you that any unlocked footprints will be moved. That is fine, so accept the warning. I will show you how to lock footprints in place in a seperate chapter. None of our footprints are locked, so all of them will be spread out. The footprints from the bundle have been spread out so none is overlapping. All the footprints are now spread out somewhere in the canvass, in a grid-like manner. It is now much easier to find individual footprints and place them to a position that we think is appropriate. We can now go ahead working on the layout. 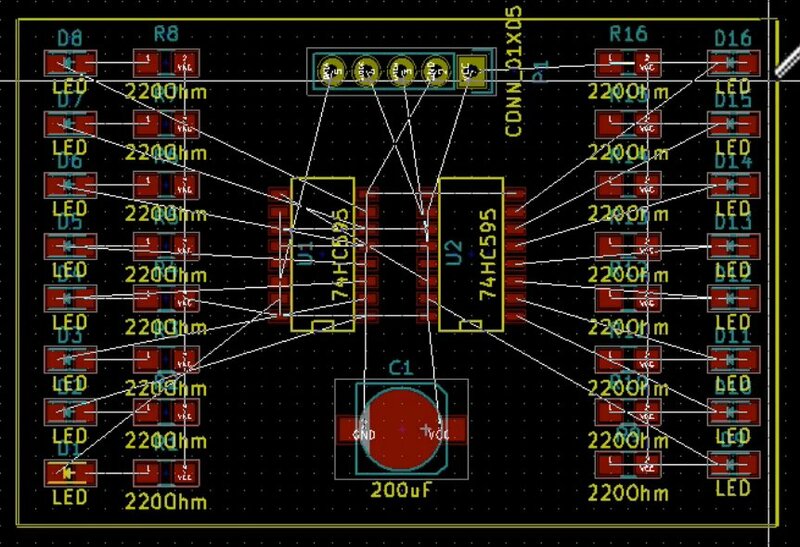 I would like to position the two integrated circuits in the middle of the board, and the LEDs with the resistors along side the shift registers. 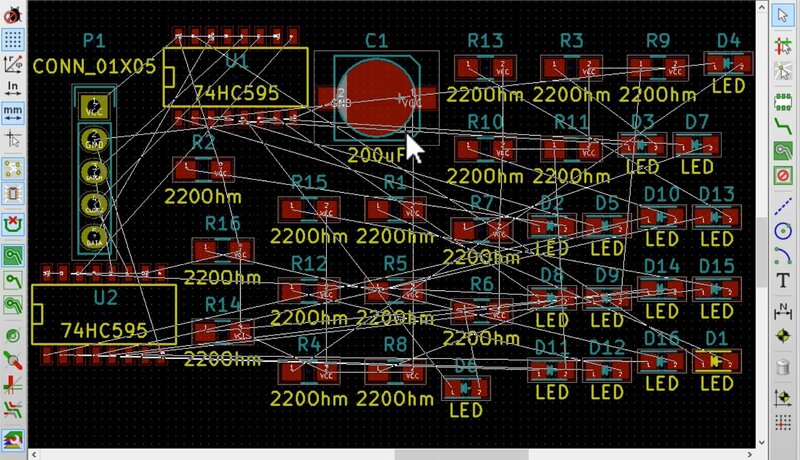 I would like to place one bank of the LEDs on the left side of the PCB, and the other bank on the other side. 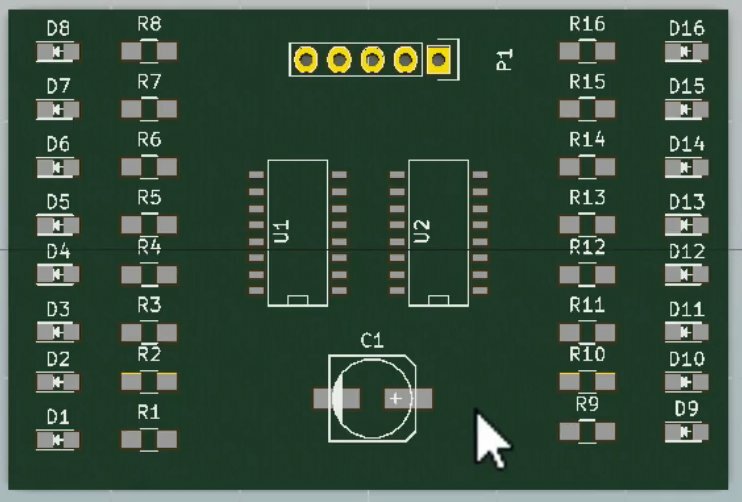 I will also try to place the footprints in a way that minimises the total area for the PCB in order to reduce its cost. The final example layout, with the edge cut set. The screenshot above also includes the edge cut border. 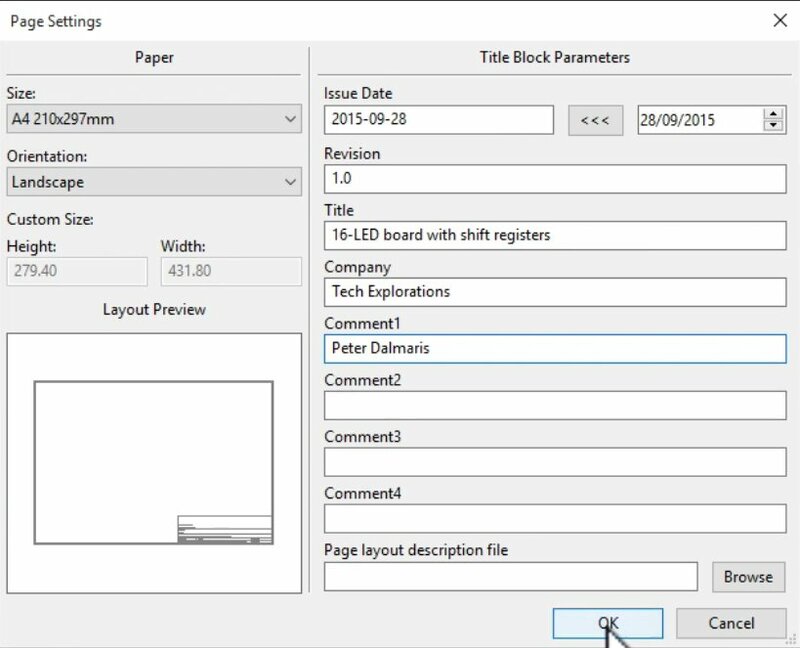 Don’t forget to select the Edge.Cuts layer and the polygon tool in order to draw it. 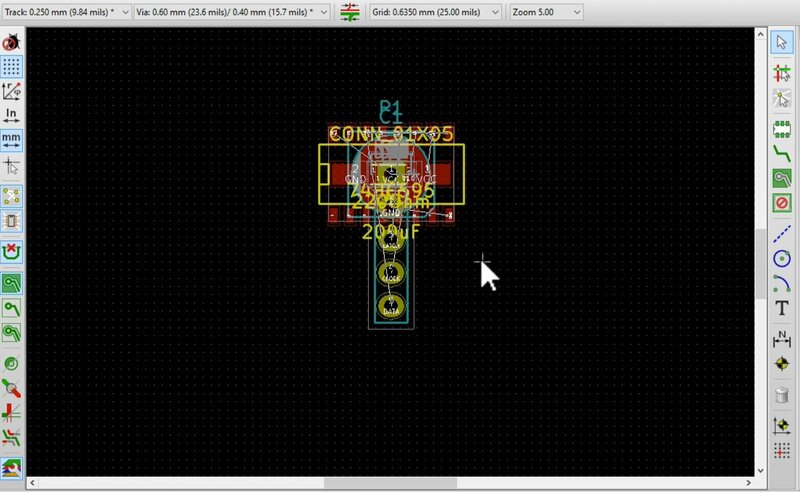 The 3D preview of the current PCB. Now that the placement of the footprints is complete, we can proceed with the wiring. We’ll do that in the next chapter.